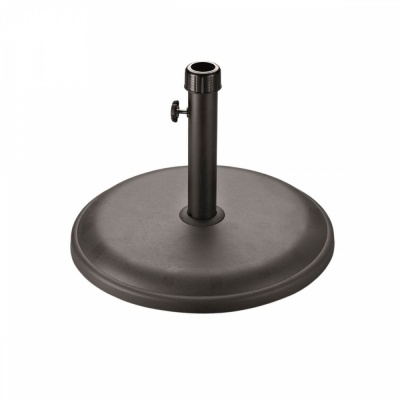 Glendale Garden & Leisure Black Stone Parasol Base 25kg provides recommended stability for standard parasols 2.5m and above achieved with a universal tightening screw. Includes central tube stem and cap, with a water drainage outlet ensuring any possibility of trapped rainwater is dispersed. 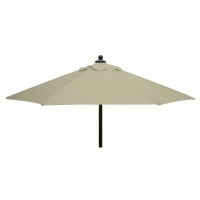 Patio and decking surfaces are scratch preventable due to gliders on the underside of the parasol base. Stone is enslosed by plastic outer coating surround.